The World Bank has projected Ghana's economy to grow by 7.6% this year. This is a slightly higher than government's own 7.2% growth projection contained in the 2019 budget. This was revealed at a media interaction between the World Bank and journalists across the continent on the bank's biannual report on the growth of Africa's economies, dubbed Africa's Pulse. This prediction was made on the back of an expected increase in oil and gas production and expected growth in non-oil revenue, with agriculture expected to see strong growth following government's investments into the 'Planting for food and jobs' programme. World Bank Country Economist for Ghana, Kwabena Gyan Kwakye lauded government for passing the fiscal responsibility law, saying it was a good sign for future growth. 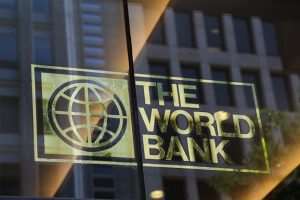 The World Bank, in its report, described as “fragile and somewhat disappointing”, the economies of the continent, following the downward review of the bank's projections for growth on the continent. The continent's growth is expected to be 0.4% lower than the October predictions made by the bank, following the 2.3% growth experienced by the continent in 2018. This growth is lower than the 2.5% growth experienced by the continent in 2017. Recent data from around the continent, however, points to a moderate strengthening of the growth in the region. This is due to strong performance expected from Nigeria and Angola, two of the continent's biggest oil exporters. This will see the continent's growth pick up to 2.8% and 3.3% in 2019 and 2020, respectively. The World Bank urged governments around the continent to embrace the digital economy as a means of opening new pathways to economic growth. He urged governments around the continent to invest in digital infrastructure to boost broadband connectivity. He stressed that once connectivity is boosted and regulatory framework improves, the cost of internet on the continent will improve.